Authorities in Belgium have seized documents, financial records and computer equipment form the local branch of the Church of Scientology (Church) and then sealed off the building. The reports state that the Church in Belgium is being investigated for extortion and fraud for allegedly posting false job openings in newspapers and then attempting to get those who applied to join the Church. After almost nine and a half months, government formation talks in Belgium have resulted in a new government. New Prime Minister Yves Leterme was sworn in by King Albert II today, together with 15 new Ministers and 7 Secretaries of State. After the election on June 10 last year, a confidence vote in the parliament in Brussels on Saturday is expected to confirm the coalition’s promise of a government in time before Easter. After federal elections on June 10, 2007, coalition talks in Belgium have still failed to result in compromises on the main electoral issue. The previous record from 1988 was broken today after 149 days without a new government. 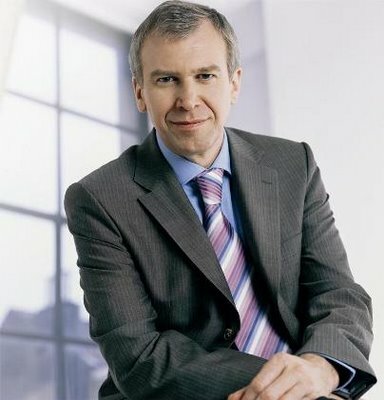 Christian Democrat Yves Leterme won the elections in Flanders together with his nationalistic coalition partner, and they promised more powers for the Dutch-speaking majority. Wallonian parties however remain reluctant to give in to unilateral demands and are asking for symbolic gestures and compromises in symbolic debates over the electoral district of Brussels and Halle-Vilvoorde. Flemish politicians argue that the time is high to split the district now, because a high court ruling from 2003 found the district unconstitutional. But their counterparts believe that everything works in two directions in Belgium, and unilateral demands have no place in a federal state. Some progress has been made in such areas as economical reforms, but the key debate of the elections lingers on. More than ever, the future of Belgium as a federal state is at stake, although immediate independence of the economically flourishing Flemish region is not currently being discussed by the negotiators. The federal prosecution in Belgium has finished an investigation into the activities of the Scientology Church in the country, and is planning to file a lawsuit against the Belgian and European sections of the religious movement, and 14 individual members. The inquiry began in 1999 after some former members accused Scientology of swindling. Now, the prosecutor has finished the inquiry. The accounts against Scientology and some of its members include blackmailing, swindling of its members, breaking trade and privacy laws, unlawfully practicing medicine, and forming a criminal organisation. If it comes to a trial, it would be the first time the movement is prosecuted on this scale. In some countries Scientology is recognised as an official religion, and Scientology has celebrities such as Tom Cruise and John Travolta as followers. Members follow expensive trainings for their spiritual development, but some accuse Scientology of manipulation and brainwashing. The Church has come under controversy before with a wide variety of accusations, including a variety of criminal charges such as in 1978 when prominent members were caught engaging in wiretapping, and stealing documents from United States Internal Revenue Service. Yesterday, the European bureau could not give a reaction to the Belgian news reports. In the past however, the movement has repeatedly denied allegations against it. Belgium’s French-speaking Walloon region has officially recognised 43 mosques, thus giving Islam the same rights as accorded to other religions in the region. They will be permitted to build minarets on their mosques, and Imams will be added to the government payroll, as is the case – for example – with Catholic priests. Moves are afoot to apply for official recognition of a number of mosques in the other two main regions of Belgium: Brussels, and Flemish-speaking Flanders. Most of the immigrant population in Belgium are Muslims, but until now the mosques were not yet officially recognized. The traditional faith in Belgium is Roman Catholicism. Other minor faiths are Protestant Christianity, Orthodox Christianity, and Judaism. Buddhists also recently applied for official recognition as a religion in Belgium. The federal elections in Belgium tomorrow will decide the fate of the 8-year-long coalition of liberals and socialists, and will shake the cards for what politicians admit will be long and difficult negotiations. Voting is mandatory in Belgium, and Belgians abroad have already voted, although their votes will only be counted tomorrow. A recent survey in the French-speaking part of Belgium shows that if voters could choose, 1 out 3 would stay at home. On the Flemish side, the final poll predicted a 29,9% victory for the Christian democratic party, which supports Flemish independence in a cartel with nationalist party NV-A. The far-right party Vlaams Belang was predicted to become the second largest political party with more than 20% of votes. The Flemish socialist and liberal parties would follow, the latter with the greatest setback of more than 8%. Women’s groups promote "Equal Pay Day"
Today, several trade unions and women’s organisations organised actions in public places and companies all over Belgium to promote equal pay for women. Volunteers handed out flyers about the issue at the Brussels Airport and the Brussels subway and in train stations, companies, hospitals and schools throughout the country. The third edition of the U.S.-inspired Equal Pay Day was called for by the socialist women’s organisations zij-kant and the women-section of the trade union ABVV, in partnership with their Francophone equivalents, PS-women and the union FGTB, the Institute for Equality of Women and Men, the Catholic Worker’s Women Movement (KAV) and the union ACV. The Institute for Equality of Women and Men reports that wages are still on average 15% lower for women in Belgium. This figures varies in different studies. In a report ordered by the trade unions, the Higher Institute for Work of the Catholic University of Leuven reports a pay difference of 26%, based on an analysis of the wages of 20 000 men and women. This also results in an inequity in pensions. According to the Structure of Earnings Survey by Eurostat, the European gender pay-gap mounts to 26%, whereas in Belgium the difference is around 17%. Sweden, Poland, Hungary and Slovenia are doing even better, while in the United Kingdom, Ireland and Cyprus women earn around 30% less. The inequity in payment results from company’s human resource management, but is also influenced by the role of the women in the family, education, and so on. But even when these factors are taken into account, there is still a difference of 5 to 7%. The organisations acknowledge that there have been small improvements, and that there have been hopeful political steps since their action last year. Because their target of equal wages for men and woman has moved a little bit closer, they’ve decided to hold the third edition one day earlier, on March 30 instead of March 31. This date symbolises the 15 months a woman has to work on average to earn the same as her male colleague. In the United States, the difference is bigger, and hence the Equal Pay Day is only held on April 24. The European Equal Pay Day was been held last February 22. With their campaign, the organisation urges politicians to improve the rapports on the phenomenon, to encourage gender-friendly human resource management in businesses, to address gender-issues in the schools, and to keep their previous promises.